Europe, it gives the impression that it’s carried on the broad shoulders of strong women and men whom you can meet on almost every street corner. These mostly classic European architectural pieces are also known as atlantes. These telamones (the roman term for such sculptural support) are holding the foundation of the houses with their bare hands and remind us of a time when art intertwined with the public sphere in a monumental way. 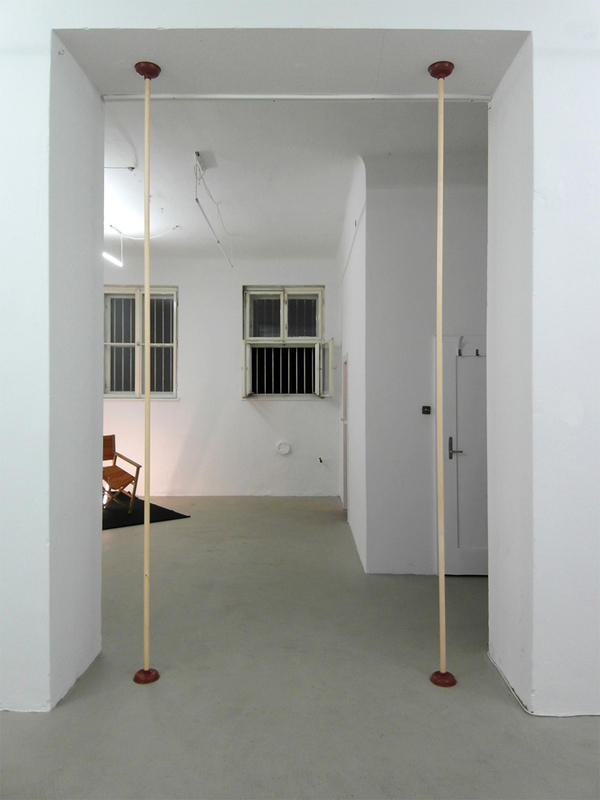 In Michael Niemetz installation Atlanten 2.0 we find a humorous approach to this historical practice. 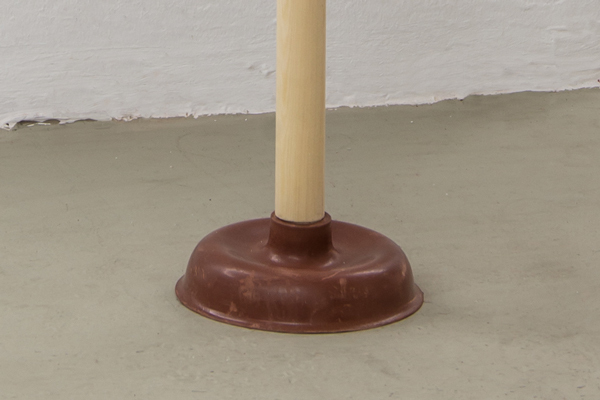 In the case of his work two plungers replace marble and sandstone. These instruments of utility become the fragile pillar that seemingly carries the ceiling of the gallery. And furthermore brings a fresh and humorous approach to the current pretentious egocentricity of the everyday art circus.